For golfers, what’s better than the rush of executing a perfect swing, driving the ball far down the fairway? 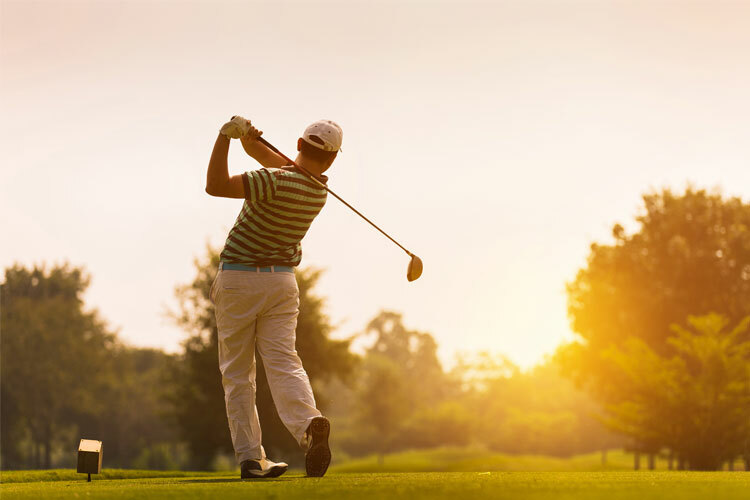 Golf is not only an excellent sport to get involved in as a physical and mental game, but also a social event that provides a relaxed atmosphere. Washington State is home to some of the most beautiful and well-maintained public golf courses in the U.S., just waiting for you to tee up. Here are the 10 best in the state. Located in University Place, Washington, just a little southwest of Tacoma, 930-acre Chambers Bay has been open for public use since 2007. This is a walking course except for those requiring golf carts because of medical conditions, and has been the site of several golf events including the U.S. Amateur and U.S. Open. Chambers Bay Grill is the on-site restaurant that’s perfect for ending your day of golf. Gold Mountain Golf Course, located in Bremerton, Washington, has been open since 1996, and is composed of beautiful tree-lined tees, fairways, and greens. The course has been host to numerous golf events including regional and amateur championships. Open daily from 6 a.m. to dusk, the course has been listed as one of the “Top 25 Golf Destinations” by Golf Advisor. The Restaurant at Gold Mountain is the premier dining establishment and is a popular wedding and group event party location. Majestic rolling hills formed by the dunes of a past glacier make Palouse Ridge Golf Course in Pullman, Washington, one of the finest public courses in America and it’s patterned after Scottish courses that require special tactics to complete. A popular course, golfers appreciate the driving range, free practice hole, and reasonable fees. Banyans Restaurant & Pavilion is a British-themed steak house that offers amazing views and is open for lunch, dinner, and Sunday brunch. Listed as Washington’s “Best Public Golf Course” by Cascade Golfer, Gamble Sands is a beautiful 18-hole golf course located near the Columbia River not far from Coulee Dam in Brewster, Washington. A pro shop and restaurant are located on site, and they also have free parking, a hot tub that can accommodate 24 people, a gym, and fire pits for overnight guests. Golf Digest listed Indian Canyon in Spokane, Washington, as one of the “Top 25 Public Golf Courses in the U.S.,” and it’s been host to several major tournaments, including the U.S. G.A., the U.S. Amateur Public Links Championship, and the U.S. Women’s Amateur Public Links Championship. It’s a well-maintained course that high atop a canyon wall and has a varied course that challenges the best player. Open 9 a.m. until dark. Located in Auburn, Washington, the Washington National Golf Club is a public access course that challenges the best golfer with bent grass fairways and greens. Several collegiate tournaments are held here, and the course has received numerous awards over the last few years, including “Best Golf Courses You Can Play in Washington” and “The 101 Best Golf Experiences in the West,” and has been ranked the 5th “Most Challenging Course in Washington State.” The Varsity Grill is the onsite restaurant and it overlooks the 18th fairway. Northern Washington is home to Loomis Trail Golf Club, an 18-hole public inland golf course that’s been rated the fifth best public golf course in washington by Golfweek, and the only course in the state to be on the top 100 list in the U.S. Specifically located in Blaine, Washington, the course was designed especially for the Northwest, and is open to the public on even days of the month year-round. The scenic beauty, smooth greens, and intriguing waterways that run throughout all 18 holes make it a popular with golfers. The clubhouse features a pro shop, lounge, snack bar, and banquet facilities. One of the driest courses in the state, Capitol City Golf Club in Olympia, Washington has a traditional design that features beautiful tree-lined fairways, good bunkers, and accessible putting greens. The Club hosts several ongoing special events throughout the year, such as the Men’s Club Saturday Games with reasonable green fees and an 8 a.m. tee time. White Horse Golf Club is a premier destination for a rewarding round of golf along the beautiful Kitsap Peninsula of the Pacific Northwest. You can’t get any better than this. Each hole has five sets of tees that can match the skill level of any golfer, from beginner to expert, and you’ll be surrounded by fir, pine, and cedar trees on this 18-hole course. You may even see some of the local wildlife as you play. A free golf shuttle is available, and when you’re finishing golfing, you can dine at the Cedar Ridge Grill overlooking the 18th hole. The Cedars at Dungeness in Sequim, Washington isn’t your average golf course. With a specially designed crab-shaped sand trap, you’ll notice that there are seven welcoming totems representing the Jamestown S’Klallam Tribe. Golfers of all skill levels will enjoy this course, and there are five sets of tees from which to choose to play. The Longhouse Market and 7 Cedars Casino are nearby and offer additional opportunities for entertainment and enjoyment.